An editorial in the Wisconsin State Journal recently asserted that there would be public outcry if a factory farm had been responsible for the 300,000 gallons of phosphorus-laden manure spilled on Nov. 24 into Six Mile Creek, a tributary to Madison’s lakes. But in fact, factory farms are the cause of this spill. Two of the three principal dairy operations that pipe poop to the Waunakee manure digester are designated CAFOs (Concentrated Animal Feeding Operations) by the Wisconsin Department of Natural Resources. The three together hold about 3,000 cows. Some perspective: The EPA estimates that just 2,500 cows generate as much waste as a city the size of Miami. Media reporting has placed only the digester in the spotlight of blame. And yes, equipment or human error there is the proximate cause, but it’s not the ultimate one. Cows excrete manure, not facilities. Holding the digester alone responsible for this mess unfairly implicates its principal source of funding, the public. Taxpayers paid for most of this $12 million digester. The remaining money came from Clear Horizons LLC, which will be repaid from the sale of electricity the digester generates. The CAFOs themselves paid nothing toward the cost of construction. And they pay nothing toward its ongoing operating costs. Imagine any other industry that could dump its pollution costs this way onto taxpayers. It wouldn’t be the manufacturing industry. Consider the recent experience of the Madison-Kipp aluminum die cast factory in Madison. For polluting nearby groundwater, it’s been ordered to compensate neighbors $7.2 million, and a state environmental lawsuit is pending. Why the difference? The dairy industry justifies its governmental handouts with a fact we can all agree on: Food is vital. Well yes, food is vital, but dairy isn’t. You’ll find little support from nutrition professionals to the claim that cows’ milk is necessary for human health, except from those the industry pays or, like the USDA, it lavishly lobbies. On the other hand, a growing body of evidence coming from the Harvard School of Public Health, the Physicians’ Committee for Responsible Medicine, Kaiser Permanente and other medical organizations challenges the claim that dairy is necessary for human health. On the contrary, they report that dairy products are actually harmful, contributing to prostate and ovarian cancer, diabetes, and cardiac illnesses. The rationale of the digester was to keep manure out of the Yahara chain of lakes, not to produce electricity. And that’s a good thing. “Livestock’s Long Shadow,” issued by the United Nations’ Food and Agriculture Organization, reports that animal agriculture produces more greenhouse gases than all of the world’s cars, trains and planes combined. Its energy byproducts, like those from the manure digester, do not come close to compensating for the environmental damage this industry causes. What to do? We need legislation at the local, state, and federal levels to hold polluters accountable for the damage they cause. We need governmental subsidies and policies for food that make sense for all of us, not just for the well-organized agricultural interests with deep pockets to pay lobbyists. Unfortunately, helpful changes like these are unlikely to happen anytime soon in the current political climate. But we have other avenues for progress. Consider purchasing fewer dairy and other animal products. This once perhaps radical idea is going mainstream, and it’s not just those concerned about their health or about animals who are including more healthy, plant-based foods in their diets. It’s also people concerned about environmental issues, whether that’s the pollution of our nearby lakes or global climate change. There was other news at the end of November. Al Gore announced that he’d gone vegan. Our choices matter. Charlie Talbert is board president of Alliance for Animals and the Environment. Charlie Talbert: Fault for manure spill goes beyond digester : Ct.
Maybe it was something about what they served in the White House mess in the 1990s. Or perhaps it’s what happens to baby boomer Democrats more than a decade after leaving office. For whatever the reason former vice president Al Gore has gone vegan, just like the president with whom he once served. Gore’s recent decision to forgo animal products surfaced as an offhand reference in a Forbes magazine piece about Hampton Creek Foods, an upscale vegan product line carried in Whole Foods. Ryan Mac’s article, which posted Saturday, chronicled how wealthy investors including Bill Gates, Tom Steyer and Vinod Khosla have poured money into the company, which hopes to take down the U.S. egg industry with offerings such as a plant-base mayonnaise. “Newly turned vegan Al Gore is also circling,” Mac writes. An individual familiar with Gore’s decision, who asked not to be identified because it involved a personal matter, confirmed that Gore opted a couple of months ago to become vegan. Gore’s office did not immediately respond to a request for comment. It is unclear why Gore, one of the nation’s most visible climate activists, has given up dairy, poultry and meat products. People usually become vegan for environmental, health or ethical reasons, or a combination of these three factors. The Humane Society of the United States food policy director Matthew Prescott noted in an e-mail that industrial farm operations are major sources of nutrient pollution, and contribute significantly to the nation’s greenhouse gas emissions. Al Gore goes vegan, with little fanfare. Every fall, Well pays tribute to the best part of the Thanksgiving table — the vegetable side dishes! This year is no exception as we take the turkey off the table and shift our culinary focus to all the delicious foods of the fall harvest. To celebrate our annual “Vegetarian Thanksgiving,” we are starting the Vegetarian Thanksgiving recipe database, packed with more than 600 delicious vegetarian and vegan dishes to help you celebrate your holiday. You can search for recipes by ingredient or you can browse through our collections of favorite dishes. Whether you are looking for appetizers, gluten-free recipes, vegan main courses or vegetarian dishes to wow your crowd, we’ve got you covered! Vegetarian Thanksgiving 2013: Find Your Favorites – NYTimes.com. This is an old post from PETA, but some of you may not have seen these stickers. You can purchase them by visiting AFAE’s Shop Site. 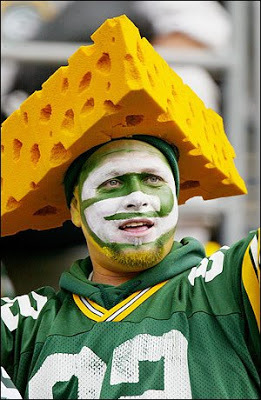 Many vegan Wisconsinites cringe at the sight of “Green Bay Cheeseheads“—not to mention their state’s standard license plate, which reads, “America’s Dairyland,” and features an image of a quaint farm. Caring drivers in Wisconsin deserve a compassionate alternative to “pro-provolone” plates, so PETA wrote a letter to Governor Jim Doyle pointing out that people who are concerned about cruelty on dairy farms should be offered a license plate that reads, “Wisconsin: America’s Cow Hell,” and comes complete with a realistic image of distressed, sick cows crammed together on a filthy factory farm. While we wait to hear back from the governor, the Madison-based animal rights organization Alliance for Animals has already produced an “America’s Cow Hell” sticker for Wisconsin drivers to place over the existing “America’s Dairyland” on their license plates. Visit Alliance for Animals’ Web site to order yours today. Wisconsin: ‘America’s Cow Hell’ | PETA.org. More and more people each day are deciding they want to transition to a vegan-inspired lifestyle. They “get” that it’s a healthier and kinder lifestyle for themselves, animals and the planet. Surveys commissioned by The Vegetarian Resource Group and Vegetarian Times tell us that almost 2 million Americans identify as vegan (add a million who are vegan except for honey), and more than 15 million Americans consider themselves willing to eliminate animal foods. And, yet, I hear every day from people who are intimidated by the idea of making the shift to this plant-based, heart-based lifestyle. They feel overwhelmed, anxious and unsure. Now, of course there’s no single right answer to this question. However, I’ve found one somewhat surprising starting point that has worked incredibly well for my clients, family and friends. This starting point? Green drinks. Yes, green drinks — juices and smoothies made with dark, leafy greens and other whole plant foods — are what I’ve found to be the perfect place to begin the transition to a vegan-inspired lifestyle. When I tell people we are only going to add one positive thing to their lives, it’s psychologically acceptable to most of them. We aren’t taking anything away. We’re simply learning something new to bring into their lives that will help them feel better. I tell them — and it’s true — that even if they just did this one thing, they would improve their health and wellbeing. Everyone I’ve worked with has looked at me in relief (“You’re really not taking anything away? !”) and has been willing to add green drinks to their lives to start. The amazing benefit of adding daily green drinks to someone’s life — especially if they’re not getting those dark, leafy greens regularly in their current diet — is that they feel physical effects of this addition very quickly, often within the first week! By infusing their bodies with the optimal nutrition that greens provide, in the easily-assimilable form of green drinks, I’ve seen people experience fast and tangible improvements in their digestion (chronic heartburn gone), energy (no afternoon slump), skin (hello, rosy cheeks of my youth! ), mood (that glass is half-full), cravings (pear is my sugar now! ), mental clarity (no more lost keys) and more. Experiencing these health improvements, in their own bodies, so powerfully and quickly, is amazing motivation to keep going. I’ve heard many a current vegan who started on the path because of their health say that when they began eating healthier whole foods and less animal foods, they experienced shifts that were not just physical, but also mental and spiritual. They started to make connections between everything they consume, how it comes to be and how it affects us, other living beings and the environment. I believe that just by adding nature’s all-powerful nutritional boost of green drinks to our systems, we light the first spark to ignite this process. Dark, leafy greens are optimal nutrition. Dr. Joel Furhman found them to be the only 100-ranked food on his 1-100 scale of nutritional value, and he advises we consume them every day. And, as “the mother of the green smoothie movement” Victoria Boutenko tells us, drinking our greens allows us to get way more of them, helps them taste better to our palates and makes them more easily digestible for our generally compromised GI tracts. Green drinks are detoxifying, alkalizing, energizing, balancing and healing. So by starting people with them as they take their tentative first step toward a vegan-inspired lifestyle, I’ve found we help create a positive opening in their bodies, minds and spirits right at the get-go. And then we just roll forward from there. So, if you’re one of the 15 million Americans willing to move toward a vegan-inspired lifestyle but you’re not sure where to start, why not try just adding this one thing to your life, and see what happens? Going Vegan: Where to Start? | Megan Pincus Kajitani. A program of healthy eating, exercise and stress reduction can not only reverse some diseases — it may actually slow down the aging process at the genetic level, researchers reported Monday. The lifestyle changes affected the telomeres — little caps on the end of the chromosomes that carry the DNA, the team at the University of California, San Francisco report. The report, published in Lancet Oncology, is based on just a few men, and prostate cancer patients at that. But it shows surprising results: Men who switched to a vegan diet, added exercise and stress reduction had longer telomeres. The men followed a program advocated by Dr. Dean Ornish, who has long researched the role of a very low-fat, vegetarian diet in improving health. Ornish, a professor of medicine at UCSF, worked with telomere expert Dr. Elizabeth Blackburn, who won the 2009 Nobel Prize in Medicine for her discoveries. Ornish and Blackburn’s team examined 10 prostate cancer patients who had chosen to try Ornish’s program, and compared them to 25 patients who had not. They all had early stage prostate cancer that wasn’t considered dangerous. The program includes eating a diet high in whole foods, fruits, vegetables, unrefined grains and keeping fat to 10 percent of calories. The average American gets more than a third of calories from fat. For the first three months, volunteers got take-home meals. They also exercised, walking at least 30 minutes a day, six days a week, did yoga-based stretching and breathing exercises, practiced relaxation techniques and went to weekly one-hour stress-reduction group sessions. And they gave blood samples. “We found that telomerase increased by 30 percent in just three months,” Ornish said. Telomerase is an enzyme that affects telomeres. They also looked at gene activity. “Gene expression on 500 genes changed, in every case in a beneficial way,” Ornish told NBC News. Five years later, the team took blood samples again. The 10 men who followed the Ornish plan had significantly longer telomeres five years later — on average 10 percent longer. The 25 men who had not followed the program had shorter telomeres — 3 percent shorter on average. “The more people changed their lifestyles, the more they improved,” Ornish said. Ornish’s diet plan has been shown to reverse heart disease , diabetes and may help keep early prostate cancer in check. Ornish was working with prostate cancer patients who had chosen not to get any treatment for their tumors. Only a few men had given enough blood in the study to make it possible to test their stored samples, so he thinks a larger study should now be conducted. Ornish says the program is easy to follow. Each of the 10 men had stuck with it for five years and longer — long past the time they were enrolled in the study. Ornish says that’s because it’s pleasant, and comprehensive. “And most people feel so much better they change their lifestyle,” he said. Healthy diet may reverse aging, study finds – NBC News.com. Serena Williams practices a raw foods vegan diet and she won the U.S. Open this month. It would have been really amazing to have had her be a keynote speaker for the Sistah Vegan Web Conference and speak about being a top athlete on a vegan diet. I mostly only see pieces about male athletes on vegan diets, but I rarely get to hear about women– black women!– who are top athletes eating vegan. Wow, with her strong bones and healthy muscle tone, How DOES she get protein and calcium!!!? (You know, the same tired old questions directed towards folk who don’t eat animals or animal products).